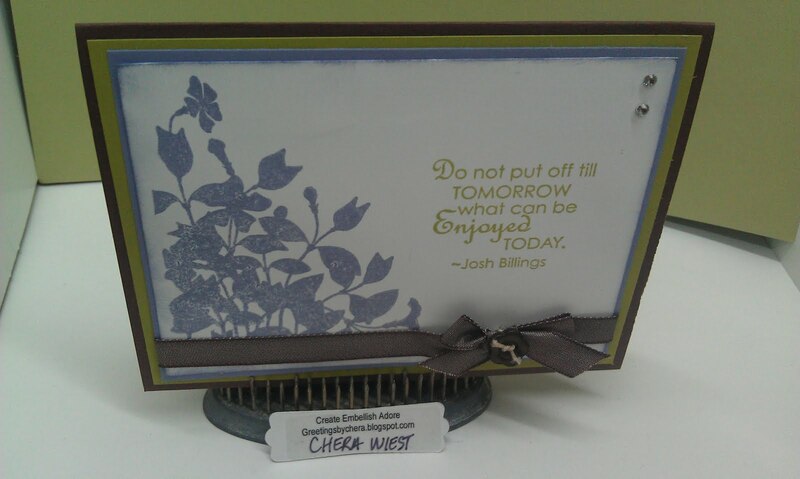 Create Embellish Adore: Chocolate Limeade...? But its not too bad when you look at it in another light!!!! 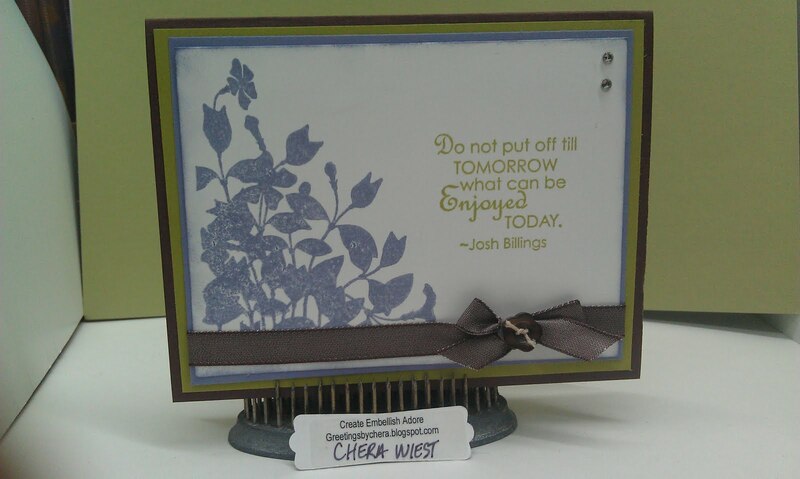 I used the new MY FRIEND stamp set with HOPE HAPPENS. It all really sorta fell together. I used the Chocolate Chip button on the ribbon, though I am not sure you can see this well. ﻿We are off to enjoying some State Park fun for the day! Where we hike, kayak and then put our butts in the lake to cool off for a bit! I love it when summertime family time can be spent like this. I love this color combination, going to need to remember it. It looks beautiful with this card. Wow..never would have put those 2 tog.. beautiful job! !